This Endless Breath: The Greatest Pinball On Earth! The Greatest Pinball On Earth is a band consisiting of Robert/Julio/Phil and Cody. Phil and Cody are very similiar for an unknown reason. 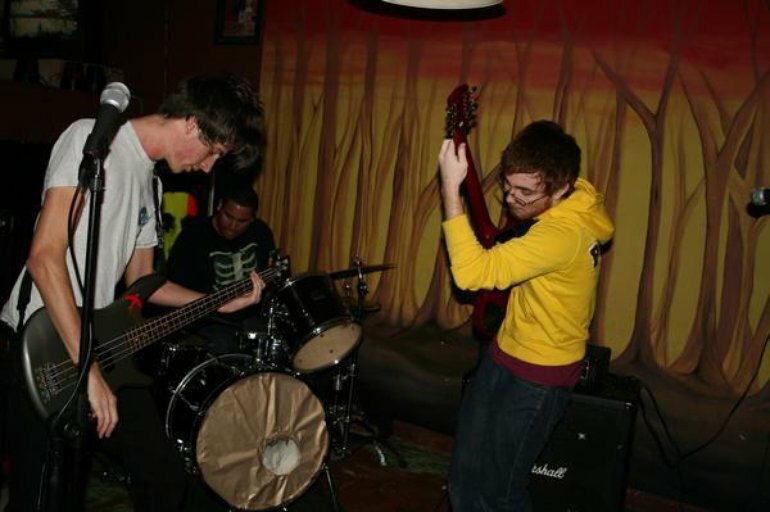 The band tends to play a emotionally fueled mix of modern skramz and post rock. They tune too much live. Apart from the tuning they are very enjoyable live. Robert is very supreme at guitar. As is Phil. Julio plays drums and gives out the smiles. They are all ready to have girlfrenz so ladies can say what's up at shows with little to no hesitation. From East Orlando FL, and active around 2007 I think. It's super shrieky style stuff, with maybe like a hint of math twinkle and even postrock influence. It's actually fairly decent. I'm not sure if they've released more than this one demo, can't seem to find any mention of anything else out there. Worth listen I'd say.